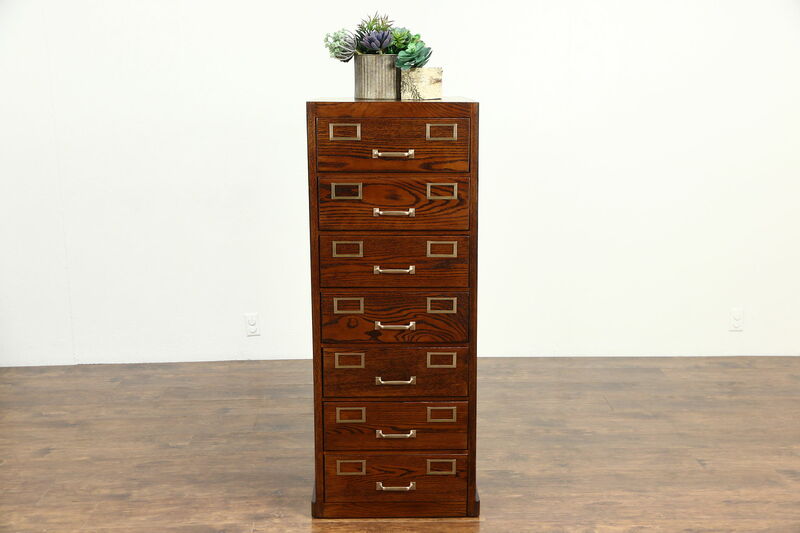 An oak 1930's file cabinet was made to hold 5" x 8" documents or photos. The restored finish is in excellent condition on this American made vintage office or library furniture. Six drawers have dividers and adjustable pushers, one drawer has none. Cast brass pulls and label holders are original. Measurements are 21 1/2" wide, 25" deep and 52 1/2" tall.